Let’s have some real talk: 2016 was a depressing year in a lot of ways. It even inspired viral videos dedicated to its suckiness. But as far as sports in 2016 goes, it was undoubtedly one of the best years ever. We saw a city win its first championship in over a half-century and finally end decades of futility with its hometown hero finally making good on his promise. We saw the single most legendary drought in American professional sports come to an end. We saw a game-winning buzzer beater in the NCAA Tournament Championship Game. And we saw three of the greatest Olympians of all-time continue their dominance. They say anything is possible in sports. There is no truer sign of that than seeing the lovable ageless wonder Bartolo Colon launch his first career home run against the Padres this year. The reaction of the Mets and the announcers tells it all. Usain Bolt and Michael Phelps are arguably the two most decorated Olympians of this or any generation. At Rio, we may have seen the crowning achievements to their legacies and they even took care to do so in viral meme-worthy ways that resonate in 2016. First there was Bolt, who won a trio of gold medals at his third straight Olympics. Alas, no image was more defining of Bolt or his legacy as the greatest sprinter and showman of his time than this amazing photo during the 100 meter semifinal, which Bolt won easily. 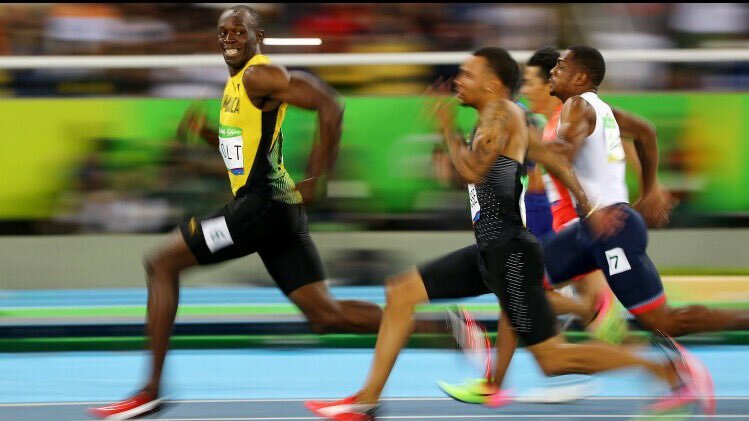 As the competition strains to catch him, Bolt can do nothing else but smile. Then there was Phelps, who offered a distinctively different meme. Phelps won five golds and a silver medal to add to his record-breaking career medal tallies. He also added the death stare to end all death stares. It all happened before the 200 meter butterfly semifinal as he was staring down rival Chad Le Clos, who was shadowboxing in front of the greatest swimmer of all-time for some reason. Looking at it up close may cause your face to shatter into a million pieces, so just be forewarned. 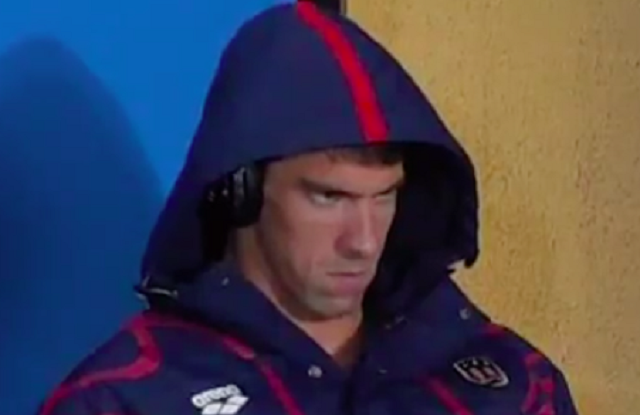 That Phelps face spawned 1,000 internet memes as he, of course, won gold. While Phelps and Bolt stole the show in Rio, the most incredible sporting moment from this year’s Olympics belonged to Katie Ledecky. When she won the 800 meter freestyle race by an otherworldly 11 seconds, it was one of the most dominant performances we’ve ever seen in any sport. One of the most incomprehensible images from this year in sports was Ledecky beating the World Record with no other swimmer even in sight. It’s hard to find one moment that can capture Leicester City’s 5,000-to-1 triumph in the English Premier League. Perhaps it was the 3-1 away win at Manchester City in February or the dramatic 89th minute winner against Norwich City. Because Leicester clinched thanks to a Tottenham draw against Chelsea, though, we have to select the epic house party hosted by star striker Jamie Vardy and the reaction of the Leicester City players who couldn’t believe what they just accomplished. The Kobe Bryant retirement tour may have been just a little bit much with the aging Lakers star holding the entire franchise captive to his farewell. It’s no secret the Lakers weren’t really able to fully move forward as a franchise with Kobe putting up 20 shots a game. But the skeptics and the doubters and even the haters were all captivated by what Kobe did in his final game against the Utah Jazz. Incredibly, Kobe scored 60 points (on an eye-popping 50 field goal attempts), including 23 points in the fourth quarter to lead the Lakers on a 15 point comeback victory. It was the only fitting way Kobe’s career could ever come to an end. There was no more emotional moment this year than Dee Gordon’s leadoff home run for the Miami Marlins when paying tribute to late teammate Jose Fernandez. Wearing Fernandez’s No. 16, Gordon took a pitch right-handed to honor Fernandez. Then, switching back to the left side of the plate, he hit his first home run of the season and rounded the bases with tears in his eyes. Golf has never seen anything like what happened on the 8th green of the Ryder Cup singles match between Patrick Reed and Rory McIlroy at Hazeltine. The passion, intensity, booing, and roaring was amazing to witness on a golf course. It was the zenith of their epic encounter as both players sunk long birdie putts and both players played to the crowd — McIlroy the European antagonist and Reed inspiring “USA” chants thundering around the course. Reed won the match 1-up and the USA won their first Ryder Cup since 2008. Game 7 of the 2016 World Series was one of the greatest in the history of not just baseball, but in all of sports. 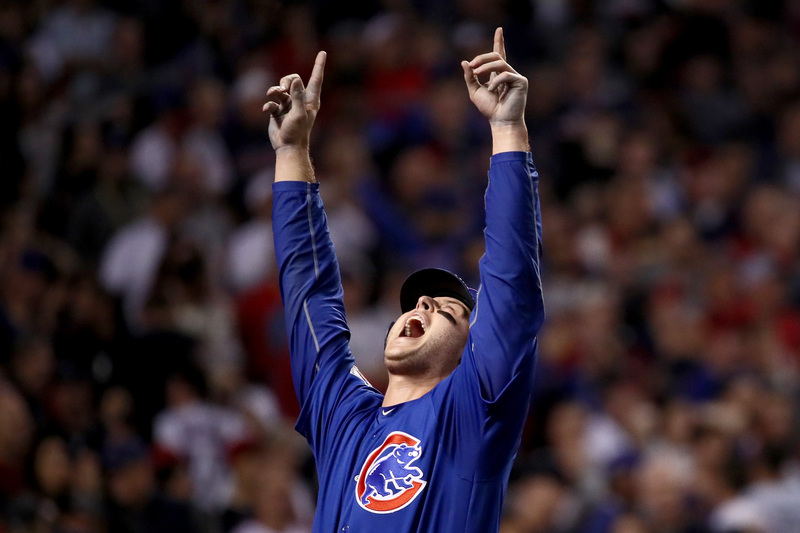 The Cubs and Indians, each playing for their place in history, each playing to finally win that elusive championship, staged an all-time classic. The Cubs broke out to leads of 5-1 and 6-3 before finally winning 8-7 in extra innings. And while the dramatic moment might be Rajai Davis’ game-tying home run in the 8th inning or the final out in the 10th inning, the *best* moment we’ll remember is this one: veteran catcher David Ross hitting a home run off of indomitable Indians reliever Andrew Miller in his final game. For what Ross meant to the Cubs all season, there was no more meaningful hero than the 39-year-old catcher. There may be no better sports-related dream as a kid than hitting a buzzer beating shot to win a game. How many times did you practice it in your driveway or your living room growing up, counting down the clock until the moment you released the ball at the horn and visualized it dropping through the net. Villanova’s Kris Jenkins got to live out that dream. And he got to do it in the NCAA Championship Game against North Carolina. It doesn’t get any better than that. If there’s one singular moment that defines 2016, the moment that we will all remember, the moment that will be replayed on whatever SportsCenter turns into 50 years from now, it will be LeBron James’ Game 7 block on Andre Iguodala. The Cavs had come back from 3-1 down in the NBA Finals to force Game 7 against the Warriors in Oakland. With the score tied 89-89 and the championship hanging in the balance, the tension grew and grew as both teams failed to score in the closing minutes. With under two minutes to play, James came out of nowhere for one of his patented trademark chasedown blocks from behind. It was actually Kyrie Irving who made the series-winning three-pointer a minute later. And the indelible images of LeBron embracing Kevin Love at the final horn, the weight of fulfilling the promise he made to Cleveland in coming back to the Cavaliers to win a championship finally lifted, will long be remembered by suffering Cleveland sports fans. Above all, though, it was James’ highlight reel block that will live in NBA lore forever.